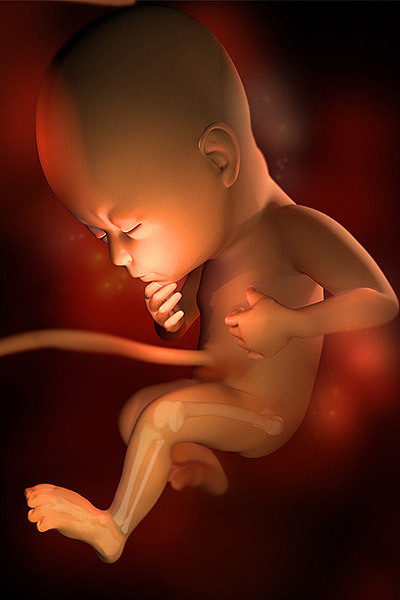 Learn how your baby is growing during week 29 and start evaluating your labor preferences, from the best positions for delivery to pain relief options. Your baby is the size of a large butternut squash. His skin is still wrinkly, but as fat accumulates, he will fill out. Your baby is getting stronger by the minute. This week, his pushes, kicks, and rolls will likely occur more frequently — and forcefully. So don't be surprised if you feel an extra-strong karate chop or two! Around this time, the part of your baby's brain associated with intelligence and personality becomes far more complex. You can get to know your baby by paying attention to how he reacts to different foods, sounds, and lights. This week, your baby-to-be's bones are hardening, and his muscles strengthening. In fact, you may have noticed from his kicks and jabs that he's growing stronger each week. Bones appear bright white on a sonogram. Although you can't see it in this image, your baby has probably been practicing his breathing movements this week, though his lungs still need more time to mature. Do you know who'll be in your labor room? Some women decide to hire a doula to help support them during labor. More cheerleader than doctor, your doula's there to encourage you no matter what, though she won't actually deliver your baby. Many will also offer postpartum care (help with breastfeeding, swaddling, diaper-changing, and all those other baby basics that definitely take some time to master), which many new moms say is invaluable. Interested? Check out DONA International (www.dona.org) or the International Birth & Wellness Project (www.alace.org) for more info and to find one near you. Last week we talked about what you can really expect from a "natural" or unmedicated vaginal birth, but not all births happen that way, so to continue on the path of getting you prepped for your big day, at Week 29, we'll tackle the C­-section—what really happens and how you'll recover from the surgery. Whether a cesarean is something you know you'll have or not, it's always a good idea to go into birth prepared for anything, since it's nearly impossible to predict how your labor and delivery will go down. The good news is if you do have a C­-section, we live in a time when you have a very high chance of it going smoothly and delivering you a bouncing, beautiful baby quickly and efficiently—and many moms look back positively at their experience. What's the deal with baby's hiccups?! At this point, your baby is awake and asleep at very specific times of the day. Find out about his sleep patterns, and what they mean. Birth Announcement Etiquette--Don't Mess This Up! 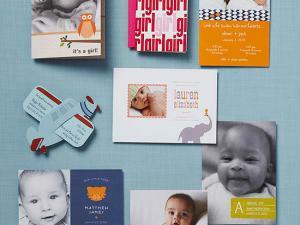 When should you send your baby birth announcement? And do you have to send it to everyone? We have the answers to these questions (and more) to help you make the right steps. 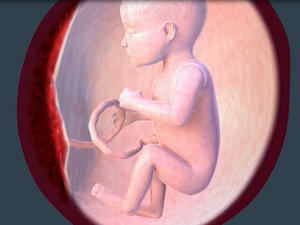 Your baby at 29 weeks is stronger, more alert, and bigger than ever. 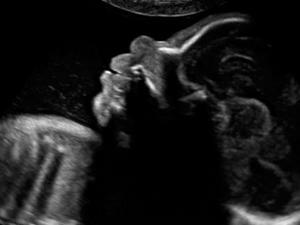 Here's everything you can expect from an ultrasound at this stage in your pregnancy. Find out what's going on in week 29 of your pregnancy on this podcast episode of Pregnancy Confidential.